Let the Yanks have their turkey and College games. We've got the Varsity championship and the Grey Cup (like they say, real men drink from cups not bowls). To get you in the mood for the Grey Cup on Sunday, here's a little ditty from Donovan Woods called My Cousin Has a Grey Cup Ring (apparently as big as a tire swing). Here's an idea. If Nasa is having so much trouble with their Space Shuttle Tiles falling off perhaps they should try using the same adhesive Ikea uses on their product stickers. Salt and a little soda water will take that stain right out! Ok so Morgan won a writing contest, and Mom has had two stories read on CBC radio in St. John's but now it is time for MY 2 minutes 03 seconds of fame (at latest count that leaves 12 minutes and 57 seconds on the Warhol Indicator). Alright, so it's just a podcast, and it was just a song request but still, it's a song request with a story. 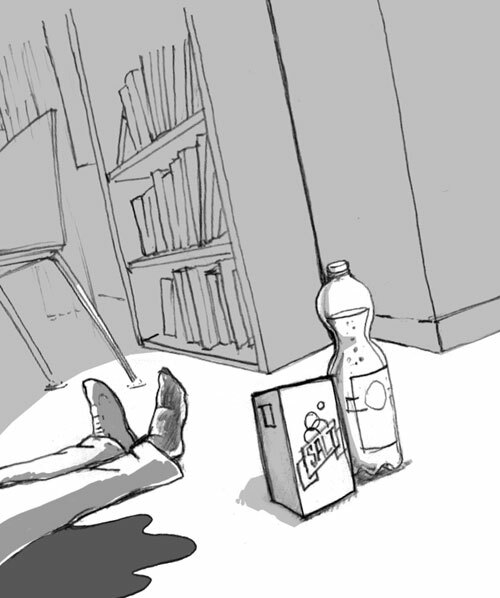 Listen to the throaty timbre of CBC host Craig Norris as he reads my inter-species "Long Range Request". "Remember remember the fifth of November." 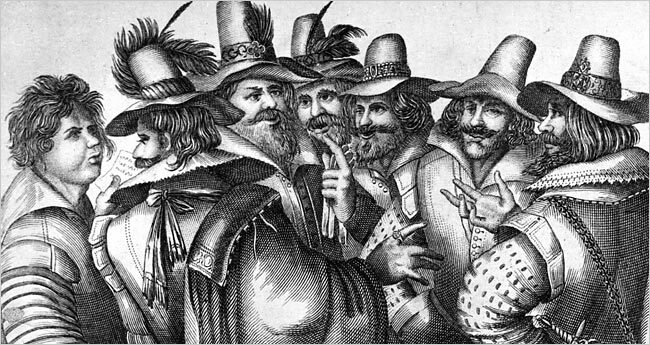 Guy Fawkes, second from right, offers something for everyone. It's funny to think of it now, but as a kid and a member of the Cub Scouts of Canada, I routinely took part in celebrating/memorializing a terrorist. To be honest, I'm not sure if we were burning Fawkes in effigy or celebrating him. I guess it was up to you. If you wanted to celebrate that a guy almost blew up the British Parliament, go right ahead, or if you wanted to celebrate that a bad guy was caught, a confession tortured out of him, a plot exposed and the devil executed, you could do that too. Either way, our desire to burn stuff was sated. Apparently, it's getting harder and harder to celebrate that gunpowder plot, even in Fawkes' home town. I only wish I had a place to burn something now but you know, in Toronto, you can only have a fire with a permit and must be at least 25 feet from any structure - which, in my current circumstance is impossible. If I move 25 feet from my house (the end of my yard) then I'm probably within 25 feet of someone else's yard. Maybe, I'll do a barbecue and pop in a copy of V for Vendetta instead. Tonight we took in Eastern Promises at the newly re-opened Revue Cinema. What's so great about that? Well, we saw a great movie, by a Canadian director, at a comfortable theatre within a few minutes walk from our house without any one eating nachos sitting next to us. It's exactly what I hoped for when the Revue re-opened. Good films in a good theatre with good company. Enough said.